The new Mercedes-AMG G63 now comes with even more power and most importantly, even more, luxury than ever, and will be offered in only the AMG avatar. 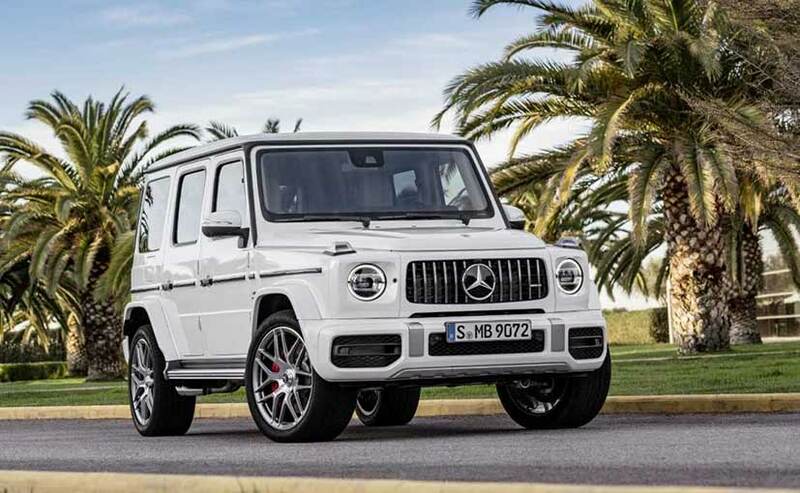 The Mercedes-Benz G-Class was revealed in its all-new avatar earlier this year and was followed by the fire-breathing, Dubai socialite or Russian mafia car of choice, the Mercedes-AMG G63 a few weeks later. And while the G-Class in India has had limited sales in the last few years, Mercedes-Benz India will launch the newest avatar of the SUV in India in late 2018. The new G63 now comes with even more power and most importantly, even more, luxury than ever before. As before, the G-Class in India will only be available in its AMG version and will not be available with the standard or petrol engines. While the G-Class, in general, has stayed true to its heritage with this all-new generation, the SUV does have some subtle changes that make it look a lot better. It now gets LED lights all around, a slightly softer overall design and the new Panamericana grille. The G63 will still get the tell-tale side exhausts, flared wheel arches, and massive 22-inch rims along with red brake calipers and a generous sprinkling of AMG badges. Under the bonnet, the G63 gets a 4-litre bi turbo engine that makes 577 bhp and a mountain moving 850 Nm of peak torque. The SUV also gets all-wheel-drive to reign in all that torque and gets from 0-100 kmph in just 4.4-seconds. The new G63 is now much lighter than the outgoing model - by 174 kilograms. In terms of the gearbox, the AMG G63 gets the same 9-speed dual clutch unit that is found in the recently launched Mercedes-AMG E63S. While the Mercedes-AMG G63 in India will play the part of a flagship SUV and have a very small niche in terms of sale, it is certainly a car to look forward to as it most probably is today one the coolest cars money can buy! Expect it to be priced at over ₹ 2 Crore (ex-showroom) price point.